Phuket is Thailand’s largest, most populous and most visited island. Phuket is an island of 503 square miles and produces cashews, rice, rubber, cacao, pineapple, and coconuts. The culture has a combination of Chinese and Portuguese influences. The island suffered much destruction in the 2004 tsunami that hit its west coast, but has since been rebuilt. Our tour took us on a scenic ride along the coastline and through the city to the island’s most famous temple, Wat Chalong, dedicated to two revered monks. 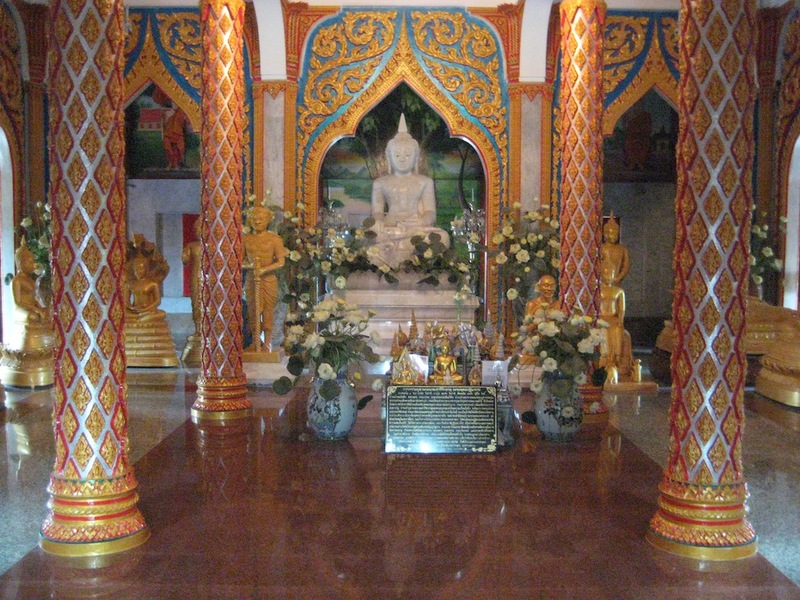 The temple is known for its gold leaf covered statue of Luang Pho Chaem. At the beginning of the 20th century when Chinese invaders invaded Phuket for its valuable tin mines, Luang Pho cared for the injured at great personal risk. 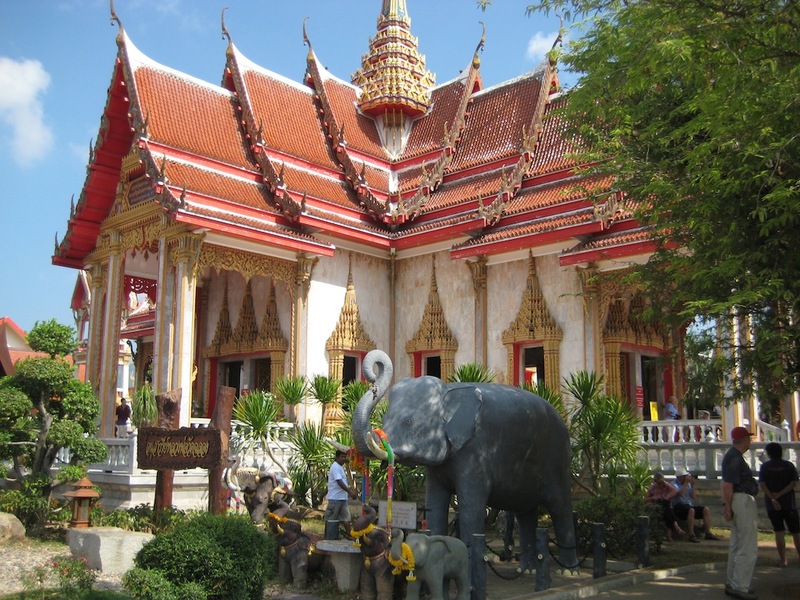 The temple is located on a very large parcel with several other very ornate brightly colored temples. One temple houses a relic of Buddah. Then we were off to the cultural center for a show of cultural dances and customs. It included a wedding ceremony, stick dance, folk dances and a martial arts performance. The costumes and props they used were colorful and festive. Lunch was at a very large Thai restaurant that went on forever. Many banquet rooms were outdoors with roofs and fans while others were indoors with air conditioning. Unfortunately we were in an outdoor dining room with the heat reaching near 100 degrees. The food was served buffet style with a salad bar, dim sum, sushi, hot dishes, fruits and desserts. The food was good and included a variety of things that we had not seen before. Before heading back to the ship they took us to what was billed as the largest jewelry store in the world. It was an enormous warehouse with one glass case of jewelry after another. You were also able to see the jewelers making the jewelry. Most of the jewelry was over the top glitzy with lots of bling. As usual when we leave a port we attend the sail away party on the rear deck of the ship where they serve appetizers and offer drink specials. With the weather as hot as it has been, the turn out at the sail away parties has been light. The night’s entertainment was a show called Atlantic Crossing performed by the new cast of the Amsterdam singers and dancers that came onboard in Hong Kong. The show featured British music from the past 50 years.